There’s something very satisfying about knowing the hot new names first. 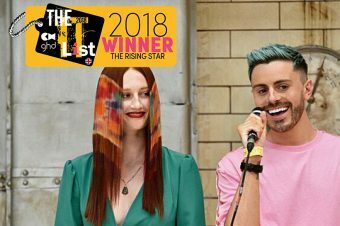 We aim to please here at Layered, so we’ve teamed up with our sister title, Creative HEAD, to share with you the results from its It List awards for 2017, which searches for the hair talents of tomorrow, all aged 30 and under. Book in now before they hit waiting list levels! Casey eat, sleeps, breathes hairdressing, and he’s always fiddling around with fabrics and weird and wonderful things to create fantastic hair looks for the models he shoots. He’s worked backstage at London fashion week, worked on the set for MTV’s The Valleys and is a dab hand at colour, as he’s a member of Joico’s European Color Design Team! “Darcie is what we call a ‘yes’ girl,” say bosses Jamie and Sally Brooks, meaning she’ll be there whenever, wherever you need her. She’s assisted at London Fashion Week, regular tests for editorials and hair shoots, and uses up half her annual holiday on work opportunities. In fact, Jamie and Sally admit that the first time they know about many of her shoots are when they’re published in the magazines – and everything is financed herself. She’s a true self starter – and a salon star among her team mates, too. 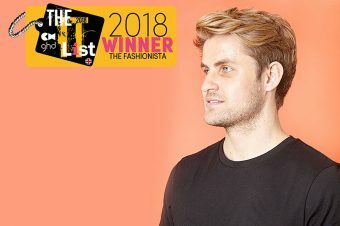 Having won The Entrepreneur category last year, Ky has since won the Men’s Image Award at the L’Oreal Colour Trophy Grand Final, and is opening a new London home for The Social, his salon studio base. He’s both assisted and headed shows at London Fashion Week, has styled editorial, worked with musicians such as Fall Out Boy and Jack Garratt, and sells custom made clipper necklaces to fellow hairdressers and barbers. Be one of the luc-Ky ones and get booked in with him before he’s chock-a-block. A favourite right hand man behind the scenes at Fashion Week, Mike has built up an impressive list of credits as a key team player on the hairdressing teams at big shows. In the past three years, he’s assisted on almost 200 shows, with highlights including Gucci, Louis Vuitton, Maison Margiela and Rick Owens. Increasingly developing his own portfolio, he’s had work published in British Vogue, L’Officiel, Hunger and Grazia, and worked on campaigns for Dunhill, Joshua Kane and has just led his first show at London Fashion Week Men’s with Richard James. Simply O’Gorgeous! Having taken the risk to move to London from Mumbai in 2013, Rebecca has made her decision count, learning from session hair and photography icon Jimo Salako. She made it onto Fashion Week legend Guido’s team for her first show assisting at Christopher Kane A/W14, joining his squad the following season for ALL the shows (think Valentino, Prada and Dolce & Gabbana) across all four cities. She then produced the Vetements S/S17 show, and you’ll also spot her work in the stunning InFringe magazine, too. 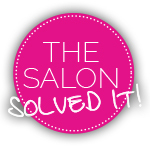 The Entrepreneur – Sophia Hilton, Not Another Salon, East London. Sophia has enjoyed an insanely successful first 18 months as a salon owner – just look at those 170k Instagram followers and her appearance on the cover of London’s Evening Standard. But be warned: her stylists are fully booked, thanks to her forward-thinking approach to modern hair salons, such as her gender-neutral pricing and her No Judgement Policy for clients. “I am living my dream,” says Sophia – maybe she can find the dream colour for you?